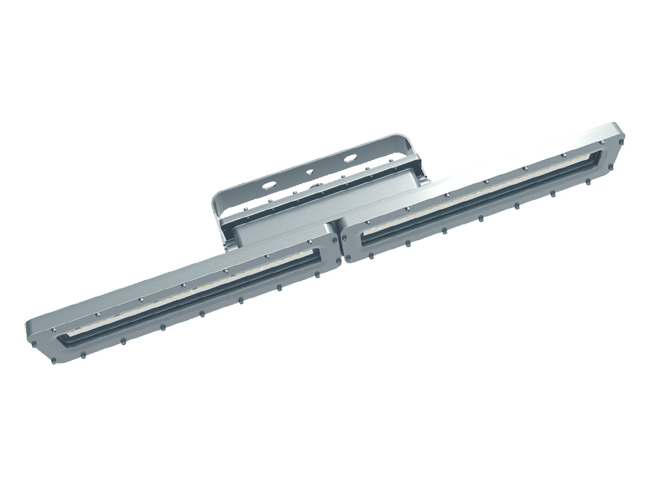 Explosion Proof EXI Linear LED- UL1598, UL1598A, UL924, UL844 approved. Hydrogen or gas approved LED surface or pendant mounted light fixture provides operators with a powerful and energy efficient alternative to traditional fluorescent hazardous location fixtures. LED technology and compact design makes this fixture an excellent replacement upgrade option for bulky and high maintenance cost older fixtures. This series achieve Class I Division 1, Groups C, D; Class I Division 2, Groups A, B, C, D; Class II Division l Group E, F, G. Class Ill. The copper free aluminum alloy body is powder coated for added durability and an attractive aesthetic appearance. 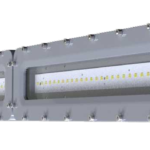 Special heat dissipating design in conjunction with LED technology helps this fixture to achieve an excellent 50000 hours rated life span with 80% lumen retention. 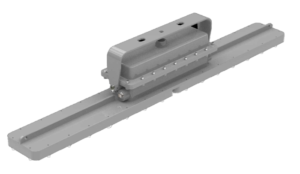 Light weight and a low profile multi-voltage capable and can be operated with 100-277/200-480 VAC, 50/60Hz without any need for a special ballast. The aluminum body and LED lamp give this light excellent durability and resistance to vibration and impacts. The housing is specially designed to dissipate heat which increases the efficiency and life span of the LED luminaires. The max LED lamp produces 80 watts and 11,200 lumens with a color temperature of 2,700-6,500K and a color rendering index of 70 which produces colors and details much more accurately than high pressure sodium or mercury vapor luminaire. 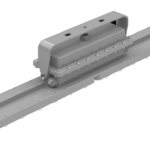 The EXI Linear can be surface and pendant mounted by bringing down a rigid conduit to the light fixture. Used for Paint Booth Lighting, Chemical Storage Lighting, Fuel Storage.